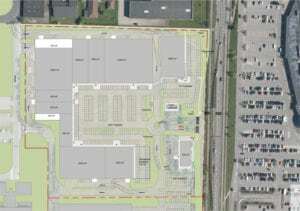 STENDER is developing a 27,000 sqm shopping centre on the Danfoss site across from Kolding Storcenter. The first phase of the project, which comprises a 14,000 sqm Bauhaus and Sunset Boulevard restaurant, opened on 18 May. Local planning and the remaining construction is still underway, and includes the construction of 13,000 sqm of retail shops.